Landing a job as a nurse practitioner takes effort, and it all begins with a solid resume. Since your resume is the first thing employers see after you apply for a job, it’s important you set yourself apart in today’s competitive employment field. Our nurse practitioner resume templates help you outline the best information to include in your resume in a visually appealing manner that is easy to read. Our templates are not only easy to customize, but we offer a wide range of resume styles, so you can find the perfect one for your professional needs in just a few clicks of the mouse. Why Use Nurse Practitioner Resume Templates? Unfortunately, you can’t simply outline your prior work history on a blank document and call it a day. Studies show that recruiters want to see several important pieces of information on your resume when they look at it. Not just that, but they only spend a matter of seconds reviewing your credentials before moving on. This way, when your resume lands in the hands of future employers, it’s difficult for them to ignore and move on to the next document in the pile. If you want to go with a proven resume template, one of our popular practitioner resume templates may be the perfect fit for your job hunt. 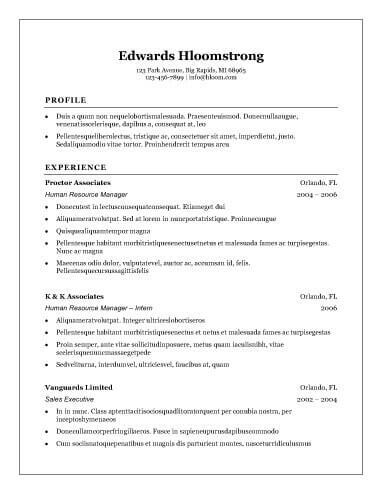 These resume templates feature a variety of styles, but each one includes all of the sections you need to complete a professional document unique to your experience and situation. If you’re looking for your first job in the healthcare field, lack of experience doesn’t have to inhibit your resume. Our entry-level nurse practitioner resume templates emphasize applicant skills and abilities rather than job experience. This way, you increase your chances of getting noticed during the job hunt and landing the position you want. As a seasoned professional, you want a streamlined, easy-to-read resume, especially if you have multiple job experiences to list. Our classic nurse practitioner resume templates are the perfect fit if you want to stand out from the crowd and show off your experience using a proven format that will encourage employers to read through your resume. If you want to go with a different approach, our modern nurse practitioner resume templates perfectly combine classic and traditional with modern and contemporary. We designed our samples to easily showcase applicant skills while capitalizing on innovative strategies to impress potential employers. These templates also feature modern fonts, strategic pops of color, and other eye-catching features. Through 2026, jobs in the healthcare field should experience significant growth. As a professional in this ever-growing field, your resume should show that you stay on top of advances in the industry and cater your skills and abilities. Our contemporary nurse practitioner resume templates can help you accomplish this with ease. Your resume should include certain information. Otherwise, employers will view your application as incomplete, which encourages them to move on to other resumes and stick yours back in the pile. Our nurse practitioner resume templates include every recommended section for a winning resume, but we have some guidelines listed below to ensure your resume makes the cut. Whether you use a summary or objective statement in your resume, both should give greater insight into your personality and abilities. Objective statement—An objective statement is different from a summary statement because it informs employers what you hope to gain from a new employment opportunity. While many employers and recruiters do not think objective statements are necessary, new graduates and entry-level employees may benefit from using one of these statements on their resume. Summary statement—Your summary statement quickly outlines why an employer should hire you. Generally speaking, these statements go over the skills you possess and how they translate to the open position. You can also emphasize how your experience benefits an employer. While we will primarily help you craft the perfect resume template, you will also have access to a variety of other useful features. For example, we will introduce you to keyword phrases specific to your industry, give you access to a cover letter builder, allow you to download your resume in multiple formats, and provide you with industry-specific advice.